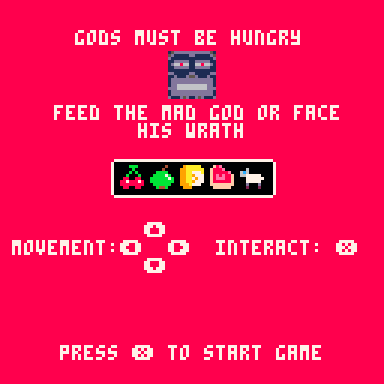 Gods must be hungry is our entry in the Ludum Dare 43 Jam. The theme is Sacrifices must be made, so go on and sacrifice! You are the only one left. 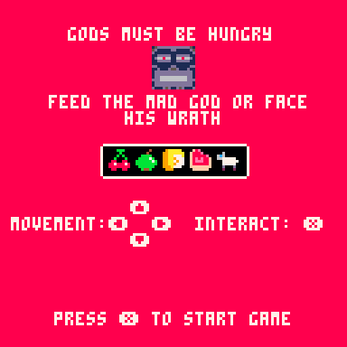 You must sacrifice any food you find to the Hungry god, or face his mercilless wrath. Now go. Sacrifices must be made! 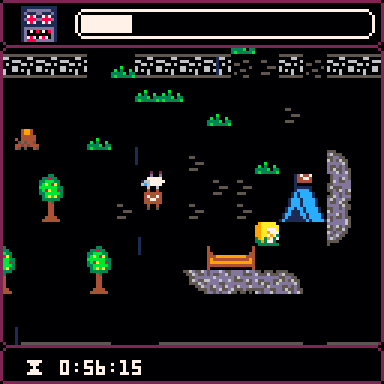 We decided to use Pico-8, the fantasy console with its own environment coded in Lua.